I'm no stranger to the Pearson family, I've photographed all different branches of their family and even Dalton's senior pictures. When I heard news that Dalton and Terryn got engaged I was secretly crossing my fingers that they would ask me to be their wedding photographer, and they did! Terryn hands down has amazing elegant style and I knew her wedding would be nothing more than pure elegance. 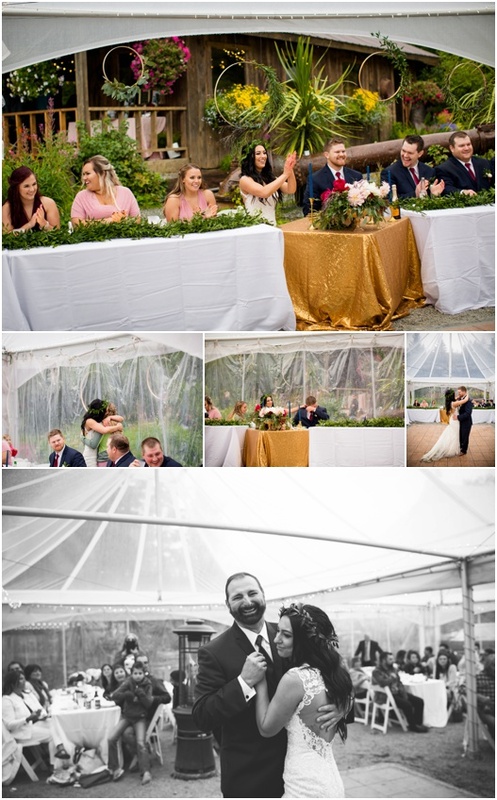 Terryn expressed the importance of wanting the perfect wedding in the woods and she accomplished that and more! 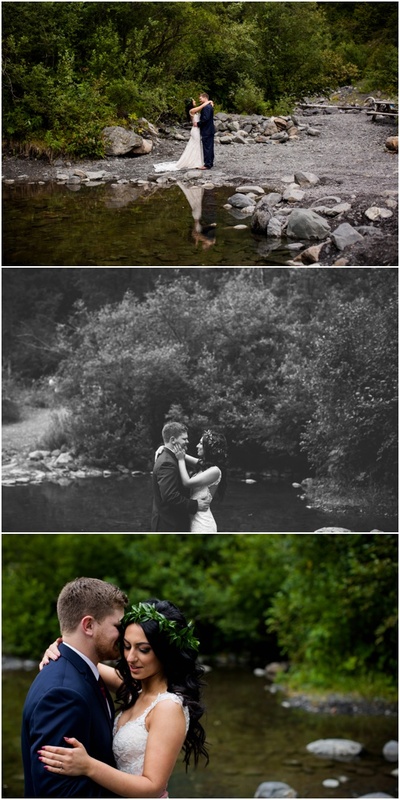 The wedding took place at The Crow Creek Mine, a historic gold mine that's nestled in the woods of Girdwood, Alaska. The mine has a variety to offer with its cascading views, Crow Creek access and fairy tale forests. It's one of our favorite locations for summer weddings! It was a moody day with lots of cloud coverage and it even sprinkled throughout the day. You know what they say though, rain on your wedding day is a sign of good luck, which I believe because Terryn & Dalton are expecting their first little one this SUMMER!